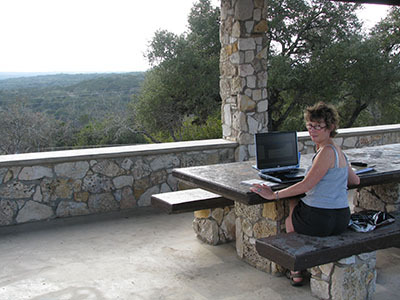 We spent the last week of January and beginning of February, 2008 touring Texas Hill Country. 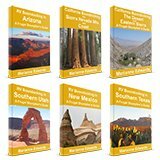 West of Austin, and north of San Antonio, this very scenic part of Texas boasts many rivers, lakes, state parks, picnic areas and amazing hiking trails. 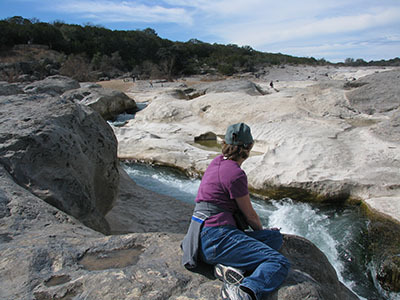 We had a gorgeous day at Pedernales Falls State Park. 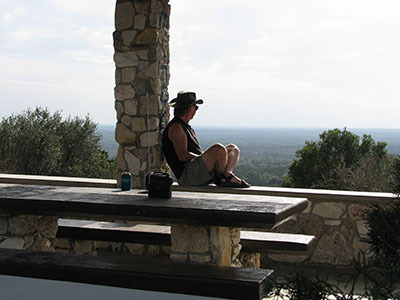 The many Hill Country Vineyards offer free wine tastings daily . 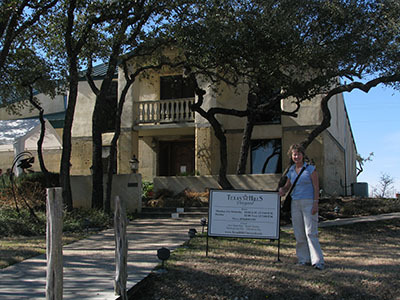 We came upon this Texas Hills Winery before noon and had to remind ourselves, "It's 5 o'clock somewhere!" 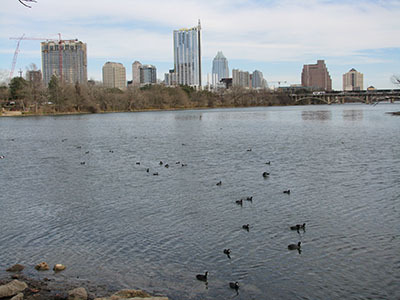 We really enjoyed ourselves in Austin, a truly entertaining city. Dubbed "the music capital of the world", Austin boasts more music venues per capita than any other city in the USA. 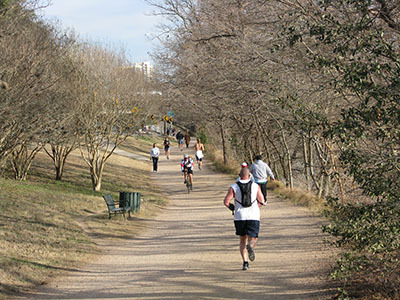 Austin's beautiful river-side trails make keeping fit look like fun. 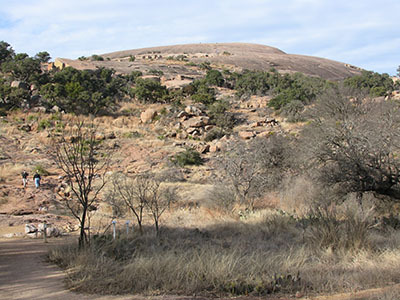 We hiked to the top of Enchanted Rock at Enchanted Rock State Natural Area. We spent a night at this free location where Randy was happy that he could listen to The Superbowl while enjoying a great vista-view at the same time. I spent my time writing while Randy listened to the game. 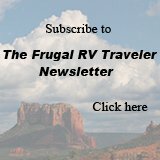 As always, we spent almost no money on camping but found free locations. 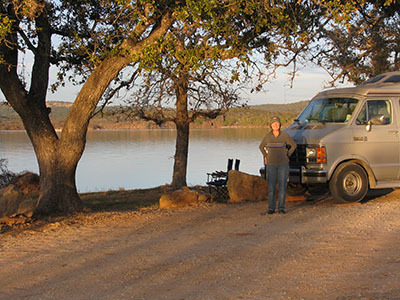 This lakeside campsite in the heart of Hill Country was one of our favorites.